I want a place where I can quickly look up a model's dimensions for kitbashing / conversion purposes--since that apparently doesn't exist, let's take matters into our own hands! A solid first milestone might be to compile Drukhari specs first (of course). From there, we could expand to other armies, be it Ynnari, Daughters of Khaine, whatever. 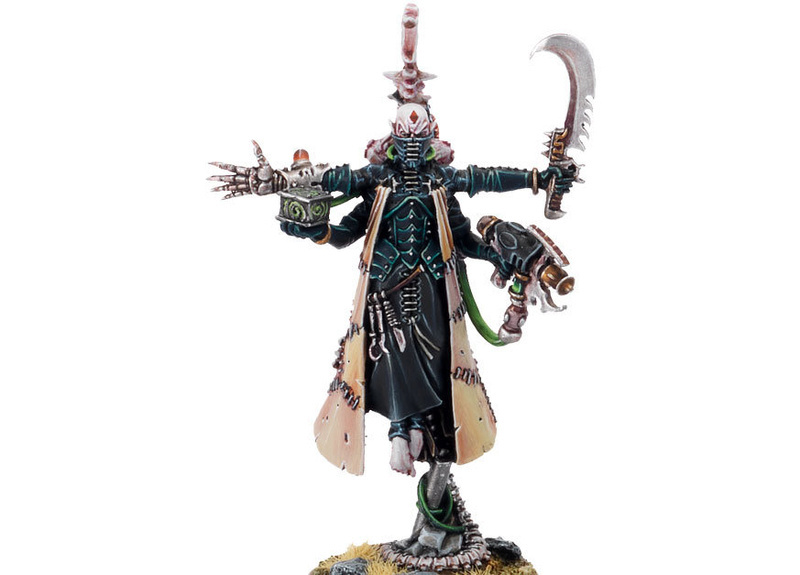 I have plenty of Vampire Counts models that would be great for Drukhari conversions, for example. I'd like to propose a standardized template. A template would essentially prompt contributors to be a little more granular--and without a template, users might only post overall dimensions--or worse, interpret "height" differently (ie some users include flying base, others do not, etc.). I hope this reasoning makes sense. I'm happy to revise the template itself if anyone has feedback! Please post measurements in both millimeters and inches, if possible. I hope folks find this useful! I'll begin to contribute too, of course. Please let me know if you have any suggestions or feedback. Base Type / Size: 20 mm or 0.8"
Total Height: 64 mm or 2.5"
Height (base to underside of model): 13 mm or 0.5"
Height (underside of model to top): 51 mm or 2.0"
Total Width: 44 mm or 1.75"
Total Length: 19 mm or 0.75"
Length (Body): Torso approx 6mm or 0.25"
I like this idea very much. I do have a piece of feedback: units of measurement should probably be standardised. The only discrepency is with the base type/size that is done in milimeters. This is understandable because that is how GW measures the bases. Thank you! I had to run out the door and forgot to call out that measurements should ideally be in both millimeters and inches. I think an image database would be even more to the point, although I think it would be much less likely to see completion. How nice would a template like this be?